Airzone Air Conditioning & Heating is Wesley Chapel and Pasco County’s Source When You Need an HVAC Contractor. Evaluating your home or business for a new air conditioning unit or furnace in Wesley Chapel, Florida may be the single most important step in saving you money on energy costs. Hiring the best Wesley Chapel HVAC contractor will be the key to ensuring that you purchase the proper air conditioner or furnace for your needs and that the A/C installation will be professionally installed by knowledgeable, experienced air conditioning technicians. Airzone Air Conditioning & Heating is Wesley Chapel’s source for furnace repairs, air conditioners, packaged heat pumps, gas furnaces, split and whole house HVAC systems. If you need total air conditioning service from air conditioning products to installation and maintenance agreements and repairs, Airzone is ready to earn your business. We’ve been providing Wesley Chapel’s home and commercial business owners with the best air conditioning services for years, coming to the rescue when you need emergency air conditioning service and saving you money in HVAC installation and products. 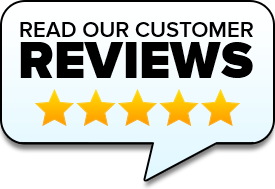 Need AC Repair in Wesley Chapel? Airzone Air Conditioning & Heating offers emergency ac repair services, ac repair and maintenance service and ac maintenance agreements to home and business owners in Wesley Chapel, Florida. We offer ac tune-up specials, free estimates, free 2nd opinions and offer seniors and military discounts for a/c repairs in Wesley Chapel, Florida. You may not know the difference between different types of air conditioning systems, but heat pumps are simply defined as not using or burning fuel to create heat. Instead heat pumps evaporate and condense refrigerants then moves that from one place to another. When you are using your air conditioner the heat pump basically reverses the refrigerant flow, thus cooling your home. If you need heat pump repair services in Wesley Chapel, Florida, Airzone Air Conditioning & Heating offers both repair and installation services throughout Wesley Chapel, FL. 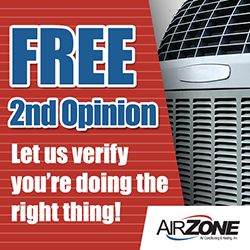 Contact Airzone Air Conditioning & Heating for a free quote, 2nd opinion or more information about our heat pump products and services. Whether you have or need a whole house or split system, oil furnace or other ac unit that needs service, we can help!